11 Sep 2018 --- Big brands and foodservice giants are tapping into the increasing demand for vegan products as more consumers seek out meat and dairy-free alternatives on supermarket shelves and while eating out. 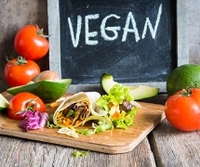 The jump in vegan eating is pushing up new product development in this space with some of the latest international innovations coming from big names like Hellmann’s in the UK, McDonald’s in the Netherlands and the Kellogg Company in the US. Set to be on the shelves of British supermarkets next month, the plant-based condiment and egg-free alternative to classic mayonnaise is due to make waves in the UK after its initial US launch back in 2016. The familiar taste of the brand’s mayonnaise is still there except eggs have been replaced with maize starch. It is also gluten-free and free-from artificial colors or flavors as well as being certified as vegan by the European Vegetarian Union. moving straight beyond vegetarian to vegan. The UK launch shows how Unilever, the company which owns Hellmann’s, wants to tap into the growing vegan market. Vegan products are becoming much more mainstream, evidenced by a much higher prevalence of food companies moving straight beyond vegetarian to vegan. The plant-based food market is growing at double-digit rates and is expected to reach US$5.2 billion worldwide by 2020. According to data from Innova Market Insights, there has been a 45 percent average annual growth of food and beverage launches with a vegan positioning (CAGR, 2013-2017). New launches with a vegan positioning increased its market penetration in Europe from 1.5 percent in 2013, to 7 percent in 2017. The trend in plant-based foods is not slowing down either. A CAGR in products featuring the plant-based claims such as “plant-based” and “100 percent plant,” has been +60 percent from 2012-2016. 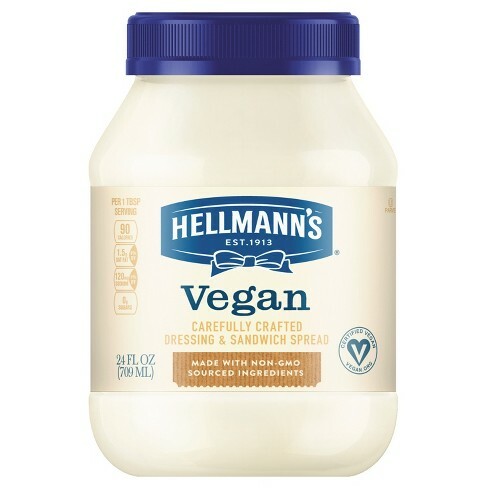 Hellmann’s vegan mayo comes at the same time as fast food giant McDonald’s is rolling out a chicken burger variant which replaces meat with Valess, a dairy, seaweed and fiber substitute, across all Dutch restaurants. Following in the footsteps of McDonald’s Austria, Belgium and Croatia, the McChicken Veggie and the Homestyle Crispy Chicken Veggie are now on the menu at almost all Netherlands-based burger chains. This demonstrates how, as the number of herbivores continues to increase around the world, even the biggest fast-food chains are accommodating new customers with alternative menu items. Valess is chosen as the ideal product for the Veggie burgers of McDonald’s, due to its’ juicy bite and taste that the milk fiber adds to Valess. Another innovation comes from MorningStar Farms, a division of the Kellogg Company that produces vegetarian food, which is responding to consumers’ cravings for more vegan options. A long-standing leader in the plant-protein category, the brand is known for its extensive variety of veggie options, including a full line of Chik'N offerings. 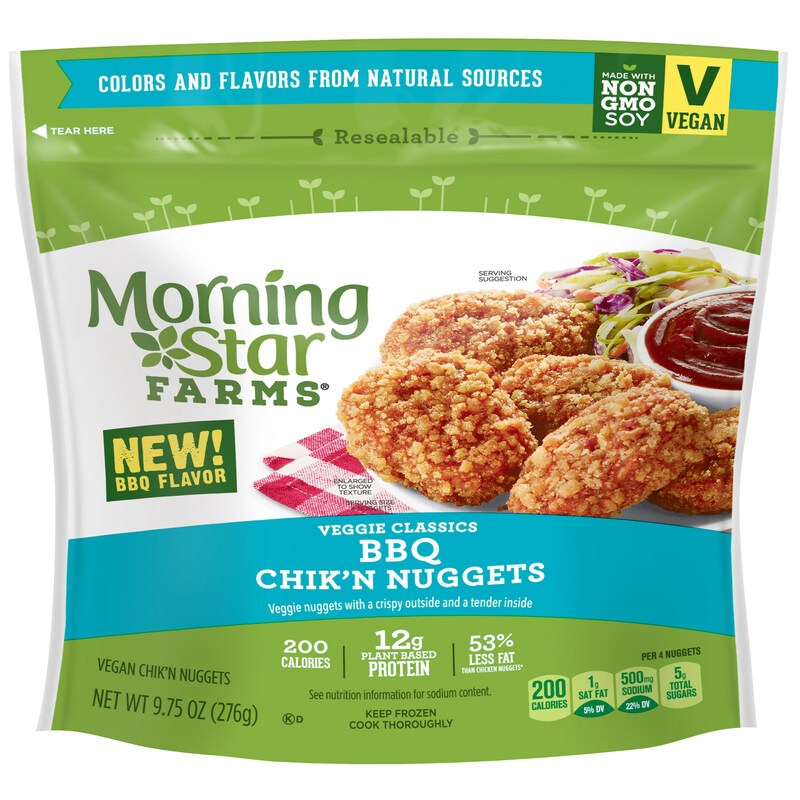 MorningStar Farms recently introduced new Vegan BBQ Chik'N Nuggets and renovated other options in its Chik'N portfolio following the successful launch of its first-ever vegan burgers earlier this year. MorningStar Farms Buffalo Wings, Chik'N Nuggets, Buffalo Chik Patties and Original Chik Patties are now vegan, made with non-GMO soy and made with colors and flavors from natural sources. Last month, Unilever announced that it was launching two new vegan versions of its popular Magnum ice-cream bars in Sweden and Finland. The new additions, Magnum Vegan Classic and Magnum Vegan Almond, which are European Vegetarian Union approved, are available to purchase in the countries this month. You can read more on this here. You can read more on Vegan Innovation here. Vegan Vegetarian Flexitarian Hellmann’S Mayonnaise Eggs Maize Starch Kellogg Company Morningstar Mcdonald’S Valess Soy Plant-Based Unilever.